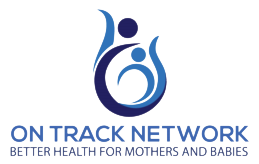 Pillar One of the ON TRACK Network strategy is to identify priority research questions in maternal and perinatal health across New Zealand. What are the key problems that you face in your everyday clinical work? What are the knowledge gaps in your discipline/area of practice? Is there a particular condition that has considerable variations in practice/treatment options? Is this due to absence of a formal policy? Or policy not being followed? Are there particular questions that patients/consumers ask that you are unable to answer because of a lack of evidence?